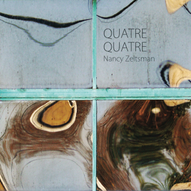 Nancy composed this piece in 2002 and dedicated it to timpanist Frederic Macarez as a 44th birthday present. The piece is in 4 movements. It is about 6:00 in length, at an advanced level (including intricate, fast tuning changes), in alternately lyrical and grooving/"pop" styles.